It's a familiar feeling – watching people suffer on the news, hearing the death count rise, getting that desperate, sickening feeling in the pit of our stomachs, wanting to help and not knowing how. While many of us just want to roll up our sleeves and be there, it's not possible, nor would it be safe. But there's a lot we can do. And for the amazing people already in Haiti trying to help, every single penny counts. At times like this in the past, I've thought what little I had to give wouldn't make a difference. Right now, thousands, if not millions of people are thinking the same thing. Imagine if the little each one of them had to give was $10. I'm thinking that sure as hell would make a difference. To donate $10 to Red Cross, text "HAITI" to "90999" (U.S. cell phones only). To donate an amount of your choosing, fill out this form at Partners in Health. Many of the hospitals have been destroyed. To help medical workers tend to the injured, head to Doctors Without Borders to make an online donation, or donate by phone at 1-888-392-0392. I'm an associate editor at Matador Travel, an online travel magazine, and we're organizing an effort to fly a plane filled with volunteers trained in medical services and relief efforts to Haiti for free. We're working directly with the NYC consul and established organizations to determine their needs, and are waiting for their direction before making any final decisions. If you're interested in making a donation, please contact matadorhaiti [at] gmail [dot] com, and we'll fill you in on the process. Last I heard, we're already starting pick-ups in New York City. I'm positive this isn't the first blog post you've seen on ways to help victims. But the fact is, the Internet simply works. 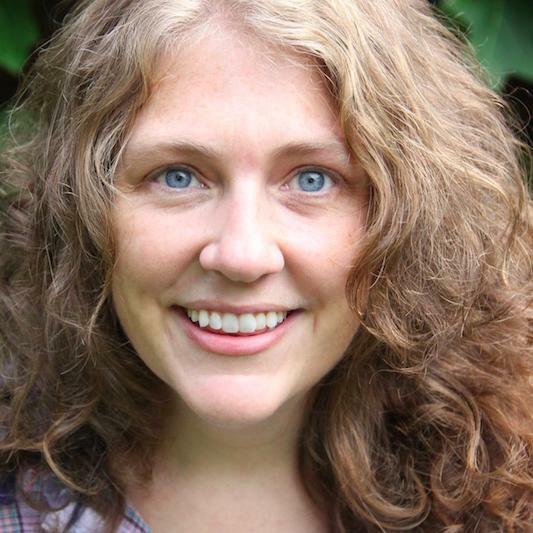 For the above mentioned project, we went from the idea of filling a plane with volunteers to nearly 1,000 responses from willing, able bodies, briefly shutting down the editor's gmail account, in hours. How did we get the word out? Tweet tweet. And if you're going to tweet anything, tweet this link: http://tinyurl.com/y9nfvbs. This woman received an email from friends working at an orphanage in Haiti. These children are in the middle of the adoption process, just shy of being U.S. citizens. The orphanage is destroyed – they're living in the yard. No water. "We trùly cant keep babys alive water contaminated. i want to make sûre évryoné ùnderstands we cant stay in haiti and thé kids will not live if théy stay. Riots will start within two days." Already, powerful contacts have been made that have the planes and are willing to help. How? Twitter. Bureaucracy is keeping these children and volunteers from rescue. Please spread the word. The more people that hear, the better the chance that we'll get in touch with someone with the power to help. Haiti is the poorest country in the Western Hemisphere. Eighty percent of the nation lives under the poverty line. The shoddy homes staggered up the mountainous terrain simply weren't constructed to withstand an earthquake. And now, the capital has been "flattened, according to CNN. 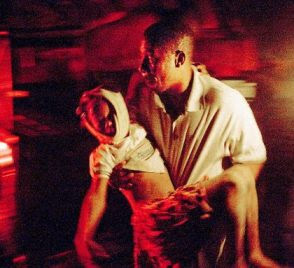 In 1998, Hurricane Georges struck Haiti and the Dominican Republic, killing 500 and leaving 400,000 homeless. In 2004, Hurricane Jeanne caused landslides that kill more than 2,000 Haitians. 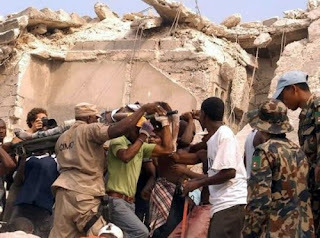 In 2008, storms Hanna, Gustav and Fay killed hundreds of Haitians and left tens of thousands homeless. A month later, Hurricane Ike (the largest hurricane ever observed in the Atlantic) furthered the destruction. 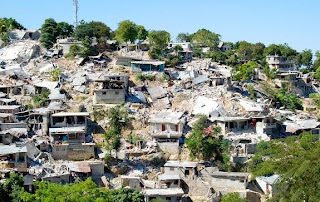 After this earthquake, the situation in Haiti is apocalyptic. There is little if no water, food and limited medical supplies. Because of ruined roads, relief is slow in the devastated city. And as Michelle said, this is all happening NOW. At YA Highway, we celebrate being citizens of the world. But when we're wrapped up in our own lives, it's all too easy to forget about our neighbors in need. Now's the time to rally together. Let's help Haiti! Really great post. Thanks for all the information! I texted =] Awesome & riveting post, you two. Inspiring... good on you guys. I usually make a contribution to such things but haven't yet this time around - I definitely will after reading this post, though - made me think about it.